Humans fascinate Dutch artist Margriet van Breevoort (1990). Their emotions and especially the way they touch all the natural things around them and see it as a normal phenomenon. Man leaves traces behind on and in the world. By the hand of humans, the unspoiled nature and animals slowly lose their innocence and morph into the large hybrid human world. At the moment, Van Breevoort is particularly fascinated how humans come to terms with everyday life and how they deal with the constant shifting of their reality. Technology and science are directly related to this. The enormous amounts of possibilities that arise from this and the speed with which humans can adapt to these are topics that Van Breevoort is concerned with. 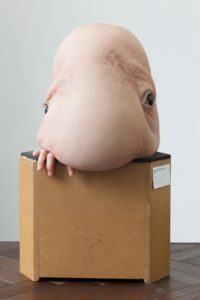 Her sculptures that originate from these concerns are usually depicted as surrealistic figures and are detailed in contemporary casting and sculpture techniques. They invite you to watch closely, but at the same time scare you off because of the somewhat lugubrious twist. Van Breevoort strives for extreme perfection, a natural and perfect representation of her imagination. The contradiction between this perfectionism and the alienation causes a strange collision. It seems real, but this can never be. It’s a constant effort to mislead the viewer: to seduce him into believing in something impossible. Margriet van Breevoort, Bob, 2017. Sculpture. 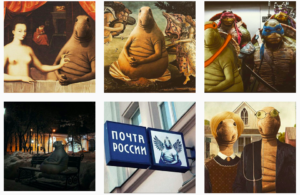 Van Breevoort recently made the news, when her fantasy creature Homunculus loxodontus became an internet-hype in Russia. The sculpture even got a Russian nickname, Zjhdun (Russian for waiting). It featured on Twitter and the Russian Facebook VKontakte. Last July, the success of Zjhdun resulted in a Russian media company acquiring the rights of the creature. Soon there will be cuddly toys of Zjhdun, and it even gets its own animation show. The Instagram account of the creature Zjhdun. Interested in the work of Margriet van Breevoort? 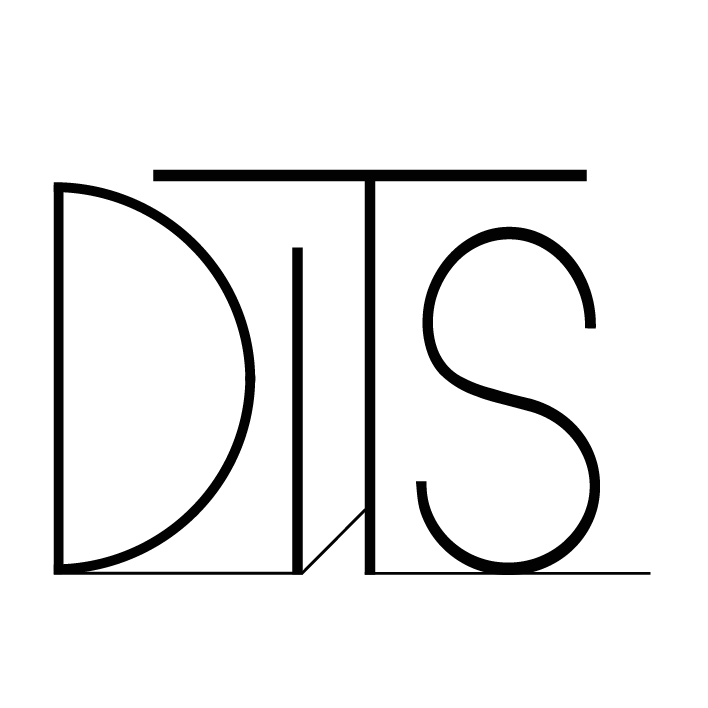 Please drop us a line at info@ditsamsterdam.com and we will contact you shortly.